Gstaad | Gstaad | Ecosign Mountain Resort Planners Ltd.
Gstaad is located in the Canton of Bern in southwestern Switzerland and is part of the larger municipality known as Saanen. 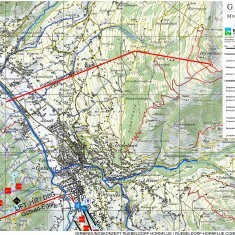 Gstaad is approximately 205 km. southwest of Zurich and 86 km. south of Bern. 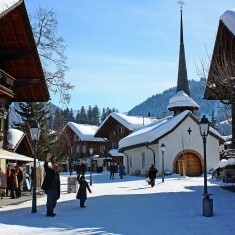 Gstaad is known as a major ski resort and a popular destination amongst high-class society and the international jet set. Ecosign was retained to prepare a technical assessment and develop lift and piste alternatives for the Gstaad-Saanen-Rougement West Sektor of the overall resort which includes Wispile, Eggli and La Videmanette. The Gstaad West Sektor covers an area of about 43 square kilometers and has 14 main lifts. 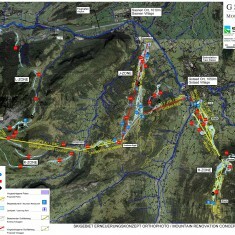 Document the existing infrastructure and daily skier capacities of the existing ski resort. Prepare a summary of the capacity and utilization of the existing lifts, pistes, parking and staging. Prepare a technical assessment of the resort’s ultimate development potential in the Sektor West region. 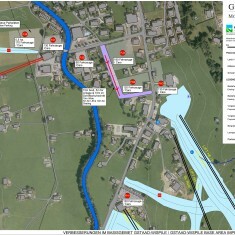 Develop several ski area development concepts for presentation to the Gstaad Mountain Rides. Ecosign prepared several alternatives regarding long range revisions to the lift and piste system for review by the Bergbahnen Destination Gstaad AG management group including a concept which would connect the West Sektor with a central area including Schönried and Saanenmöser. COPYRIGHT © 2019 Ecosign Mountain Resort Planners Ltd.